The Pink Gin Cocktail is an old navy drink, a mix of gin and Angostura Bitters. Gin was the Naval Officer’s drink of choice and the bitters were thought to have medicinal properties. Traditionally, the drink is associated with Plymouth Gin, a spirit from a city with strong naval connections. 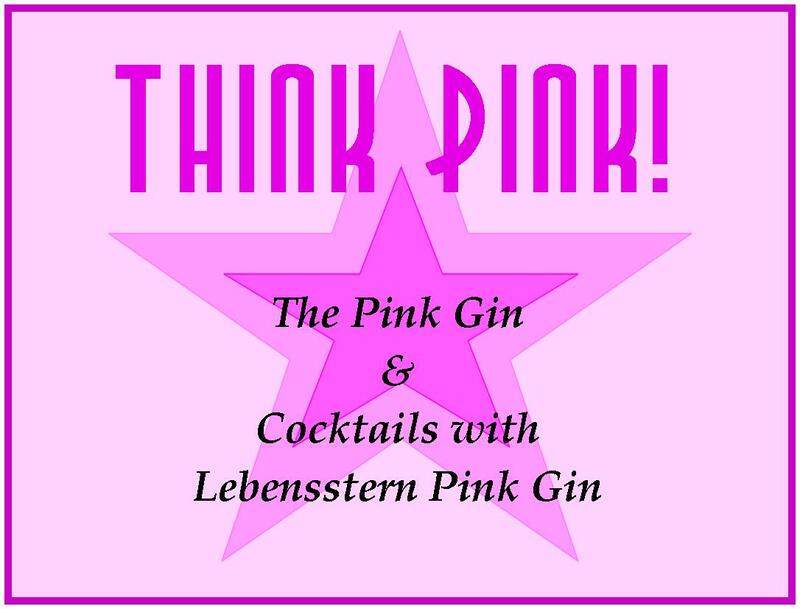 But recently I tried Lebensstern Pink Gin, which was kindly sent to me along with a bottle of Adler Berlin Gin (see the review here). 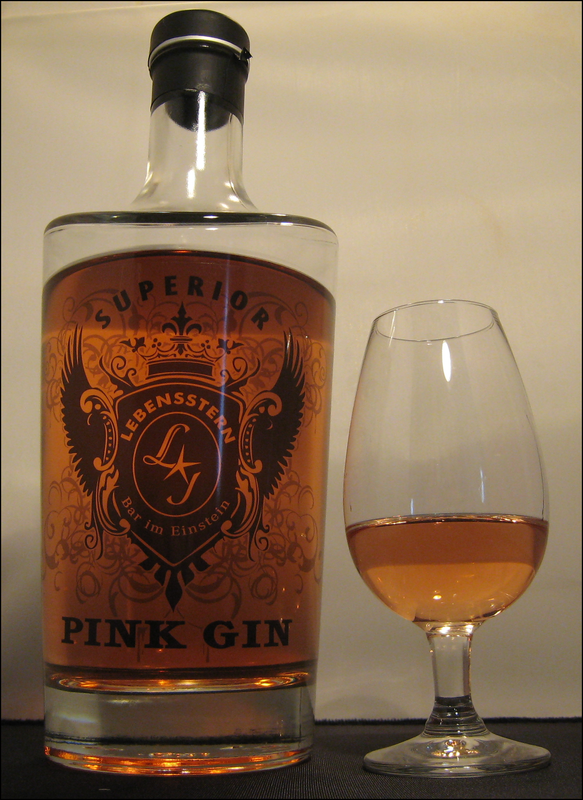 Not to be confused with the likes of Edgerton Pink or Pink 47*, Lebensstern Pink is actually Lebensstern Gin with added Bitter Truth aromatic bitters. The gin was originally made specifically for the Lebensstern Bar, which is situated on the 1st floor of Cafe Einstein, a Coffee House in Berlin. Also in the brand portfolio of Lebensstern is a London Dry Gin (43%) and a Caribbean Rum. Annual production of Lebensstern is limited to 1,000 bottles and is bottled at 40%ABV. Quite herbal, with nice juniper and citrus notes, but perhaps a touch watery and a bit flat at the end. A richer, herbal taste, with a hint of sweetness. Complex and intense. Clear winner. Frankly, I was surprised at the result as I am a big fan of Plymouth**, but the Lebensstern pipped to the post in my Pink Gin tasting. I expected the freshly mixed one to be superior, but the Lebensstern was more complex and had a more defined and lasting flavour. Room Temperature: Juniper, cinnamon and other spices & roots. Quite soft and very similar in character to a Pink Gin. Some warmth and a finish of juniper, cinnamon and anise. Frozen: Surprisinglyly non-syrupy texture; very cold, but very flavourful. From the freezer, the gin is more herbal and more bitter. It’s tasty, but, for me, not as good as drinking it at room temperature. Quite refreshing; a pleasant way to lengthen the gin with hints of cinnamon and sweet spice coming through. A dash of lemon juice or a wedge improves the balance, I think. Seems quite strong***, crisp and the sweet spice comes through again. For my money, though, I’d rather have the gin on its own. Excellent: easily the best cocktail I have tried with Lebensstern. Smooth and soft, it is complex, bitter-sweet and rather lovely. A great drink to have whilst you contemplate and mull-over the day. I was definitely impressed with Lebensstern Pink and the idea of making a cocktail within a cocktail definitely intrigued me. My tasting of this comes at a time when I’ve recently tried some other good-quality bottled/premixed cocktails (see my Hand-made Cocktail Company Review) and the Lebensstern certainly fits that label, too. My favourite ways of drinking it were on its own at room temperature, with ice, and in an Old Fashioned. * By this, I mean that neither Pink 47 or Edgerton Pink (to my mind) follow the flavour profile of the Pink Gin Cocktail. Pink 47 has a very faint pink tinge and Edgerton, although being very pink, is flavoured with pomegranate, not bitters. 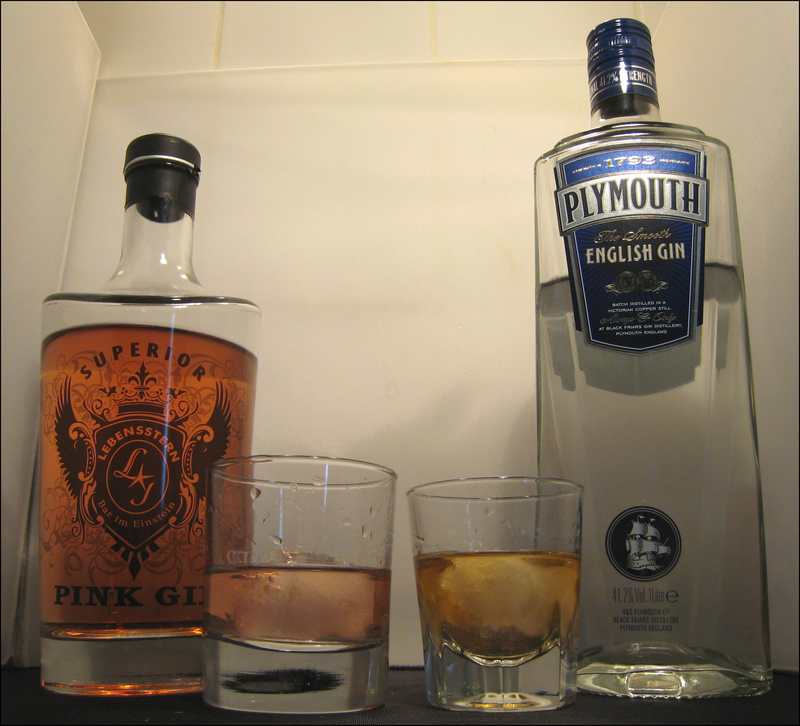 ** I’d like to see a true re-match sometime, with a professionally-made Pink Gin vs. the Lebensstern; maybe a task for the next time I’m down at the Plymouth Distillery? This entry was posted in Product Reviews, Vintage Cocktails and tagged bottled cocktails, Einstein Cafe, german gin, Lebensstern Dry Gin, Lebensstern Pink Gin, LebenssternBar, Pink Gin, Plymouth Gin, Plymouth Pink Gin, The Bitter Truth by DTS. Bookmark the permalink. I went to the-Bitter-Truth.com site, they are the producers of the Lebensstern Pink Gin, right? But I did not find it in the products that are displayed in the site. Is it discontinued? Bitter Truth appear to have this:http://the-bitter-truth.com/liqueurs/pink-gin/ which is bottled pink gin under their own label. I guess at least the bitters are the same but am currently trying to work out if it is the same as the Lebensstern. In a quick answer they are not the same product. The first batch of Lebensstern has finished but they are producing a second batch. This will not be made in conjunction with The Bitter Truth, so I imagine there will be a slight difference.